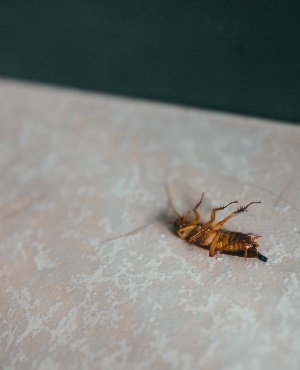 A Michigan man allegedly accidentally shot himself after he threw his gun at a cockroach to squash the insect. The unnamed 50-year-old man told Detroit police that he tried to kill the bug on Tuesday morning by throwing a shoe at it. But a revolver was hidden inside the shoe and went off, sending a bullet flying in his direction, reports Metro. The bullet struck the man in his foot. It's not yet clear whether the man was badly injured or not. Metro reports that in January 2016, a man was badly burned after he tried to light bedbugs on fire in his apartment. He allegedly doused his furniture with alcohol and lit a cigarette, which he used to try to burn one of the tiny bugs, but he ended up burning the couch and himself.